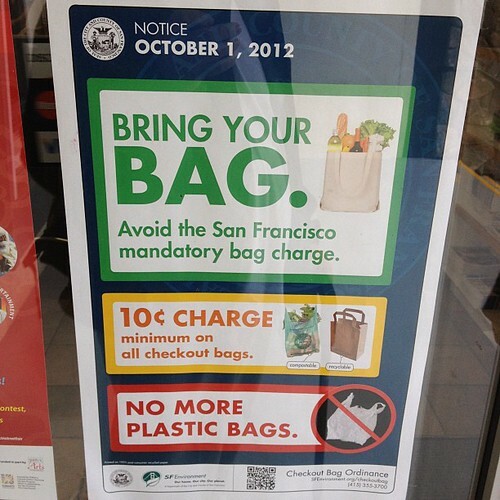 Remember that time I said I hated San Francisco's new paper bag law that banned plastic bags, and forces all customers to pay ten cents for each paper bag when checking-out? Since October 1, 2012, I've been a good puppy, obeying my government masters by bringing my own reusable grocery bags to the store. Now it's June 2nd, 2013 (eight months later) and I've been a bad dog; I pooped on the Mayor Ed Lee's carpet and got hit with a newspaper. 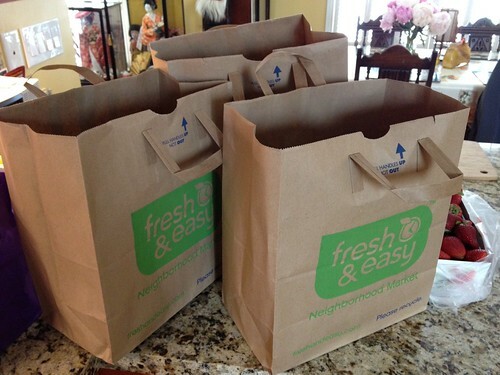 I finally had to cave in and purchase not just one... but three paper grocery bags at ten cents a piece. I usually have tons of bags in my trunk, but I emptied my trunk so I can pick-up my co-workers from the airport, and they have a lot of luggage. Mother Nature is pissed and it looks like I'm going to hell. Hello, Board of Supervisors? I think your 10 cent bag fee is stupid. Now that I have three paper bags that I can't return to get back my 30 cents, what am I going to do with them? I could punch a few holes and put a frowny face on it... perfect! I'll wear it at the next Board of Supervisors meeting. 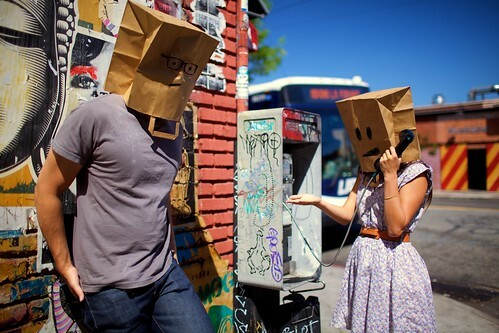 Paper bag head photo by Mark Sebastian, using a Creative Commons License.